Our Nomadic Yurt called Swift was an addition to the site in 2016, replacing the Bell Tent. We love it! It is the only one on the site at present. 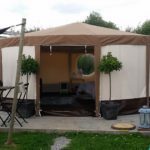 The yurt is available all year round, although it is canvas, so please be aware that it can be a bit chilly in the winter months. There is a heater in the Yurt, but it will only take the edge off, so don’t forget your fleecy PJ’s and snugly socks! 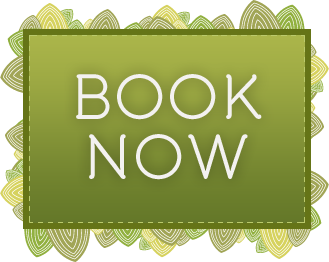 The yurt is able to take a total of 3 adults with the fixed double bed and the small sofa bed. It can of course be booked as a twin. This is a fixed king sized bed. The Yurt is not available for group bookings. No pets permitted in the Yurt.